The aim of the present study was to report experiences with invasive prenatal diagnosis of α-thalassemia for the prevention of Hb Bart’s hydrops fetalis syndrome in the Guangxi Zhuang Autonomous Region, China. Pregnant women and their partners who tested positive for α0-thalassemia or were diagnosed with HbH diseases were counseled and suggested to undergo a prenatal diagnostic procedure for α-thalassemia. Fetal material was obtained by chorionic villus sampling (CVS) between 9 and 13 weeks of gestation, by amniocentesis between 16 and 24 weeks of gestation and by cordocentesis after 24 weeks of gestation. The α0-thalassemia gene types were detected by gap polymerase chain reaction (Gap-PCR). All results were finally confirmed by DNA analysis after delivery or termination of pregnancy. An invasive prenatal α-thalassemia diagnosis was performed in 3155 cases at risk for Hb Bart’s hydrops fetalis syndrome at our hospital from 2002 to 2016. 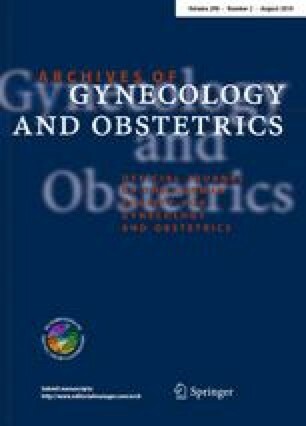 CVS was performed in 1559 cases (49.4%), amniocentesis in 1240 cases (39.3%) and cordocentesis in 356 cases (11.3%). In total, 786 fetuses were diagnosed as Hb Bart’s hydrops fetalis syndrome. Among these cases, the α-thalassemia genotype was --SEA/--SEA in 784 cases and --SEA/--THAI in 2 cases. All affected pregnancies were terminated in time. This extensive experience suggests that carrier screening, molecular diagnostics, genetic counselling, and prenatal diagnosis are effective measures to prevent Hb Bart’s hydrops fetalis syndrome. Ketong Lai and Shuquan Li contributed equally to this work. This project was supported by Guangxi Key Laboratory of Thalassemia Research (16-380-34), by Guangxi Clinical Research Center Construction of Thalassemia (AD17129002), by Science Foundation for The Excellent Young Scholars of Guangxi Collaborative Innovation Center for Biomedicine (GCICB-TC-2017014) and by Guangxi Collaborative Innovation Center for Biomedicine (GCICB-TC-2017010). PC: Conceived and designed the project; KTL: Collected the data and wrote the manuscript; SQL: Performed the experiments and the managed data; WXL: performed the experiments; DZY: performed the experiments; WQC: performed the experiments; MQL: Fetal material sampling; LHP: Fetal material sampling. All procedures performed in studies involving human participants were in accordance with human study protocols, approved by the medical ethics committee of the First Affiliated Hospital of Guangxi Medical University, and with the 1964 Helsinki declaration and its later amendments or comparable ethical standards.